This annual event brought 40 shooters from around Australia to contest 3 events; 200yd Rimfire, 500m Heavy Gun Centre Fire and 500m Light Gun Centre Fire, all shooters seated from a concrete benchrest. The competition involves scoring 5 shots on a paper target (5 targets per shooter) with numbered rings from 1 to 10, the 10 ring contains a fly motif (the bulls eye). Scoring is a combination of group size and closest to the centre. The Nationals rotate each year to a different State with 2017 being Victoria’s turn. The scoped guns used in this competition are purpose built from the most precise components available and when the conditions are favourable they are capable of placing 5 shots into 1” group or less at 500 metres. 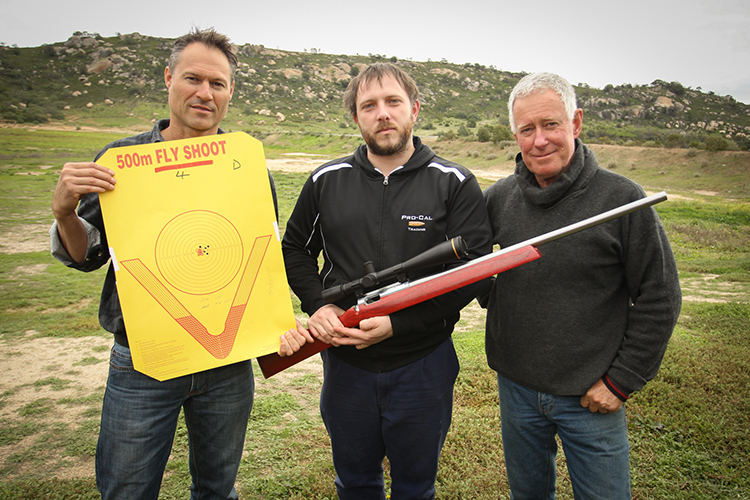 The first 500 metre fly shoot took place in 1990 at the Canberra SSAA Majura range and was organised by benchrest shooters who wanted to test their guns at long range. From this beginning the Fly Shoot was taken up by other SSAA ranges and for the last five years a National event has been organised. Over the weekend 3 range records were set, one of them being a pending national record. 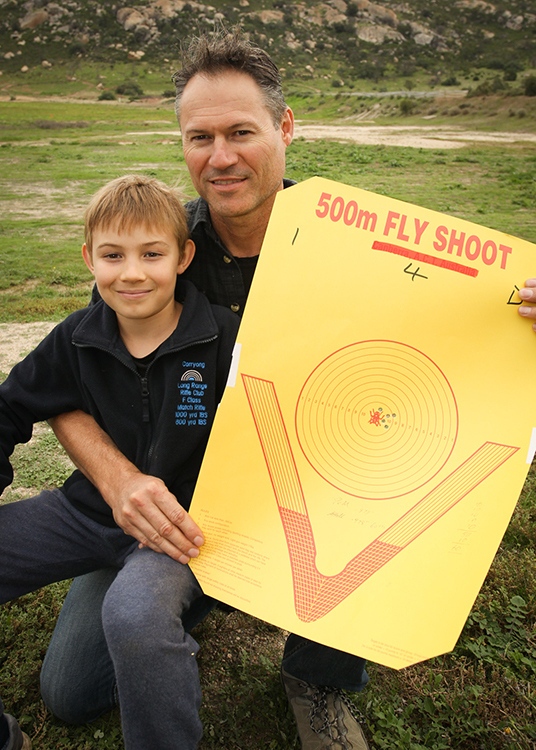 The national record is the first 60 point (5 shots inside or touching the 10 ring with the group measuring under 1”) target shot in 500m Centre Fire since the competition was started in 1999. The target was shot using ADI 2206H in a 6mm Procal (wildcat calibre) custom built rifle. (Photo) Left is Grant Groves, the shooter, middle is Luke Easter, gunsmith and cartridge developer and right is Michael Bell, gun owner and load developer. Michael lent Grant the rifle for the completion. This is the first time ADI World Class has sponsored the National 500m Fly Championships. WE are extremely impressed with the especially high level of skill held by participants. Most of these shooters use ADI World Class powders a fact we are extremely proud of and it was great to be able to get involved with another great event out in the hunting and shooting community.